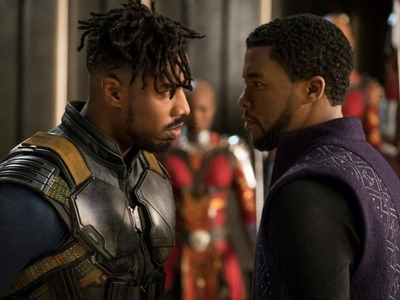 Over Presidents’ Day weekend, “Black Panther” made $US242 million at the domestic box office. Its earnings made the movie one of the biggest domestic opening weekends of all time. It also easily beat “Deadpool” as the biggest February opening ever. 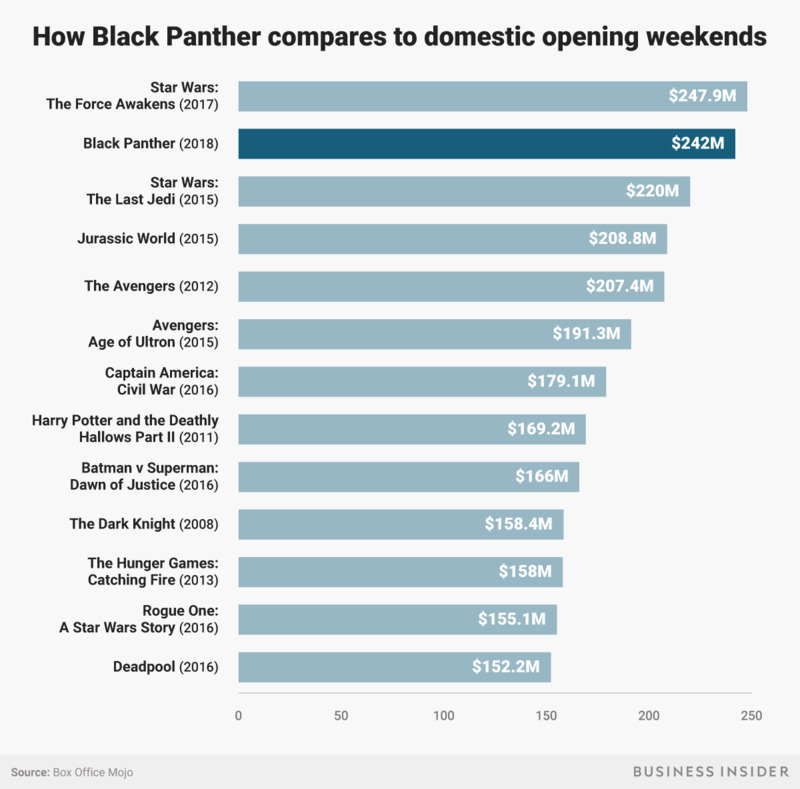 See how “Black Panther” compares to some of the biggest opening weekends of all time. 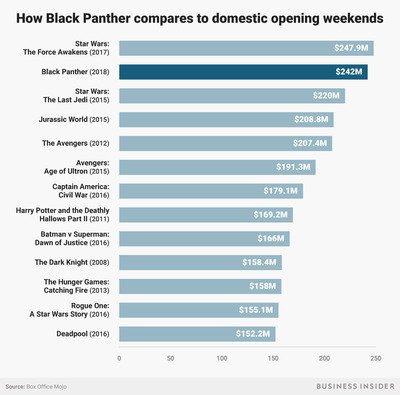 Counting the total Presidents’ Day weekend earnings, “Black Panther” had the second biggest domestic box office opening of all time, just ahead of “Star Wars: The Last Jedi.” Counting only the three-day weekend (including Thursday but excluding Monday), it’s the fifth biggest domestic box office opening of all time. “Black Panther” easily took the slot for the biggest February opening of all time from 2016’s “Deadpool,” which held the record at $US152.2 million. “Black Panther” beat out some of Marvel’s biggest movies and biggest opening weekends, including “The Avengers” (2012), “Avengers: Age of Ultron” (2015), and “Captain America: Civil War” (2016). The massive success of movies like “Black Panther” and “Wonder Woman” proves that movies starring people of colour and women work at the box office.